THE seventh Lahore Literary Festival that concluded last Sunday proved to be more tension-free and thematically richer than its earlier editions. That nearly 80 discussion sessions and artistic performances were offered within 24 hours of festival time was a signal achievement. A good number of reputed scholars from foreign lands were joined by Pakistani writers and critics in exploring the range and grandeur of the written and spoken word. The festival began with a scintillating tribute to Faiz Ahmad Faiz by the inimitable Zehra Nigah. Known for her ability to say much in a few words, Zehra Nigah summed up the work and life of the great poet in a style that sometimes reminded one of Faiz’s own manner of speech. Quite a few issues of immediate concern to the people of Pakistan were taken up during the festival, two of them on the opening day. One of these themes, populism in democracies, has been the bane of Pakistan’s politics for decades. While Ayesha Jalal dwelt on the perils of populism the message from Prof Eugene Rogan, that the world was soon going to be rid of populism, was just the kind of tidings the hard-pressed Pakistanis wanted to receive. The other theme, Pakistan’s fast-dwindling water resources, brought together former chief justice of Pakistan Saqib Nisar, a fervent campaigner for the building of dams, engineer Shujaul Mulk, a veteran campaigner for the efficient use of water resources, and Erum Sattar, a rising policy expert. Perhaps more time was needed for a meaningful conclusion. Quite a few issues of immediate concern to the people of Pakistan were taken up during the Lahore Literary Festival. An illuminating presentation on Ottoman history by Eugene Rogan left the audience wondering about the modern Ottomans. The distinguished author of The Arabs: a History also spoke of what is wrongly described as the ‘Arab Spring’. There was an interesting discussion on Syria and two sessions on Iran. In one of these sessions, devoted to understanding post-revolution Iran, one of the analysts seemed to be on ground familiar to the audience when he referred to the efforts to mould the Iranian people into a nation according to a particular political framework. This seemed quite similar to the Quaid-i-Azam’s call to build a Pakistani nation once the state of Pakistan had been established. The festival came into the present in the session Hameed Haroon had with Ayesha Jalal on ‘Between Remembrance and Forgetting: History as Freedom’. Ayesha Jalal was at her best when she defined history as a tool for testing the present and made two critical points. First, she defined the creation of Pakistan as the answer to a constitutional crisis, echoing Jinnah’s assertion that the creation of Pakistan and the division of provinces was the only solution to India’s constitutional problem. Second, her statement that the establishment of a federation is Pakistan’s most fundamental issue acquired special relevance in the context of the current efforts to undo the 18th Amendment. The LLF 7 covered a vast area from an extremely relevant UNDP-sponsored discussion on inequality to tributes to Asma Jahangir and three significant women writers (Fahmida Riaz, Altaf Fatima and Khalida Husain), a good discussion on historical and social themes in Urdu literature, recollections about a popular TV serial, Chand Girhan, and a discussion on women’s portrayal in TV plays. Occasionally, the panellists enlarged the scope of discussion beyond the suggested parameters. The discussion on Anum Zakaria’s valuable book on the divided Kashmiri families was lifted by Ayesha Jalal — the organisers took full advantage of her availability and she starred in four lively discussions — and Victoria Schofield into a thorough dissection of the dispute over Jammu and Kashmir. The discussion on Sanam Maher’s book on the dreams and death of Qandeel Baloch developed into an analysis of the curse of killing women for men’s ‘honour’. We were again reminded of Manto’s perceptive faculties. And the number of books launched reached a new record. The organisers must increase their attention to literature in national languages other than Urdu. 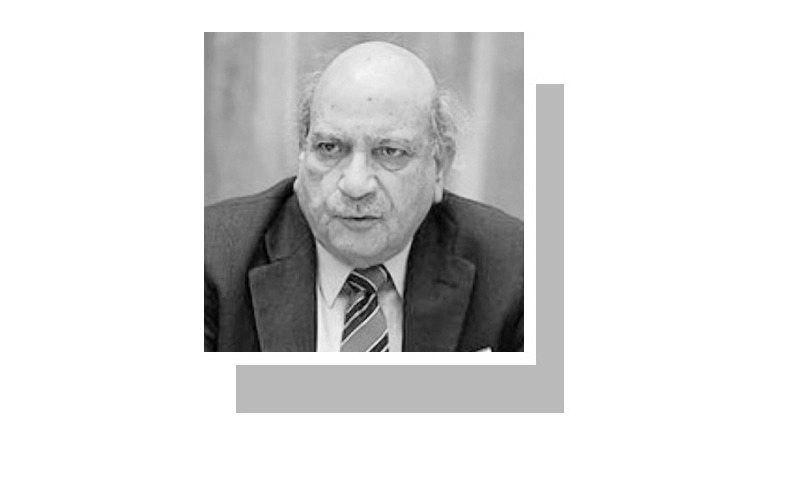 It should not be difficult to give Punjabi its due considering that the pioneer of the modern Punjabi poetry and drama, Najam Husain Syed, is very much present in Lahore. They may also consider ways of developing closer collaboration with the storehouses of talent and knowledge in Lahore — Lums, the Lahore School of Economics, and the Government College and Punjab universities. The latest LLF has thrown up quite a few critical questions. How can the literary debate be carried to the masses, the people who need it most, to escape the criticism that literary discussions are affairs of the elite? The virtual blackout of the festival by Urdu-language newspapers is a chilling indicator. One should try to find out whether the LLF is attracting book lovers from the various Punjab towns as one saw at the festival’s first two editions. Above all, the people must assess the compromises that have to be made to put in a word of sanity to break the monotony of officially proclaimed banalities. How much of the people’s ability to speak will survive long periods of voluntary and enforced silence? What is the affordable cost that must be paid for token survival in a climate of fear?